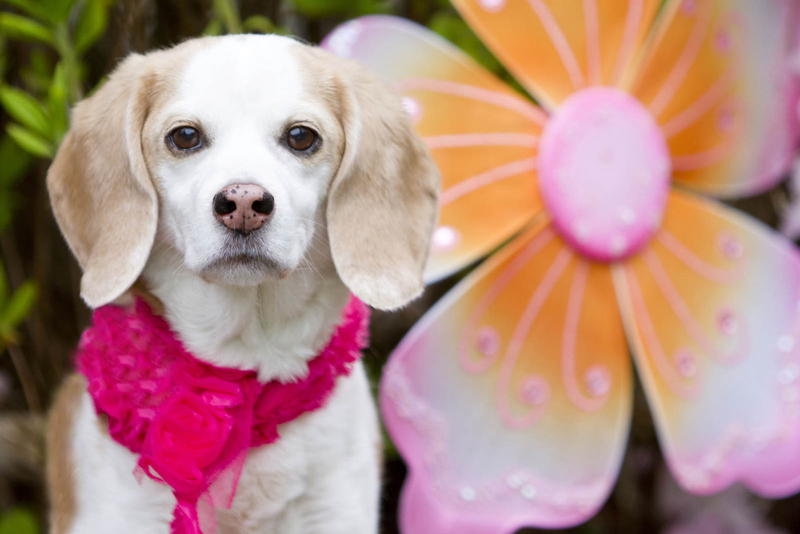 Award-winning Seattle pet photographer Rachelle Erickson is also a pet owner of Sunshine, her beagle. She knows and understands how to work with pets. She loves being able to capture those adorable candid moments when your pet thinks that no one is watching. Rachelle loves doing on-site photo sessions in the Seattle area and pets are no exception. If you have a pet (that is not a dog) and you are interested in learning more about documenting your pet, please call us. We are happy to discuss your pet in more detail with you. Do you need help determining a location? Rachelle and Sunshine would love to offer some of their favorite sites for animal photography sessions. As a dedicated professional pet photographer, Rachelle Erikson combines her skill and passion to provide you with a custom experience and offers beautiful products that will bring you joy and comfort for years to come. Seattle Pet Photographer Rachelle Erickson enjoys getting to know you and your beloved friend and takes the time to make sure everyone feels safe and comfortable around her and the equipment. Every animal is unique and special, just like their people are, and we take great care with both. A photo session for each of the puppy, young adult, and elder years make wonderful collages to document your dog’s life. A yearly photo session shows how your dog is growing right along with your children. Dogs are an important part of our lives and we love showing them off to others. Custom designed albums and wall art allow you to display and highlight your pet in your home. Pets may not be with us for most of our life in person. They can be a constant part of our memories with cherished photographs of them running, jumping, and being themselves. Pet photographs can become cherished family heirlooms, so you will want to be sure that they are done well and are able to show off your pet’s personality. Finding a pet photographer in the Seattle area who is good at all of these things can be a challenge. Rachelle Erickson is skilled at animal photography located in Seattle with award-winning experience. Rachelle offers a mixture of black and white as well as color photos and professional prints depending upon the photo package selected. Premium quality custom photography and personalized products are a wonderful and timeless investment. When you are ready to capture your pet’s personality in photos, contact us to schedule a complimentary consultation for your pet’s photo session. Rachelle Erickson Photography is a professional pet photography company in the greater Seattle area. Deposits and contracts may be required before the scheduling of your pet’s photo session is on our calendar. Rachelle Erickson Photography loves to give back. For each session, we are giving back 10% of your final order to one of the four charities listed below in your dog’s name. We are all about helping other furry animals. We ask you to spread the word with your family and friends. This organization helps homeless hounds and offers help in adopting a beagle. If you do not live in the Seattle area, you will be referred to an animal rescue shelter in your area. This organization is a network of private homes that fosters and cares for homeless senior dogs. The network also works to relocate homeless senior dogs that have a good life expectancy. As part of the Relay for Life organization, dog with their owners join together to form their own Relay for Life teams. Relay for Life celebrates those that lost their lives to cancer, those still fighting against cancer, and those that are friends and family. This organization provides therapy dogs to facilities on the East Coast as it promotes animal-assisted therapy. While most therapy dogs are provided to those facilities, during a disaster therapy dogs may be scheduled to travel across the country to help provide mental relief.